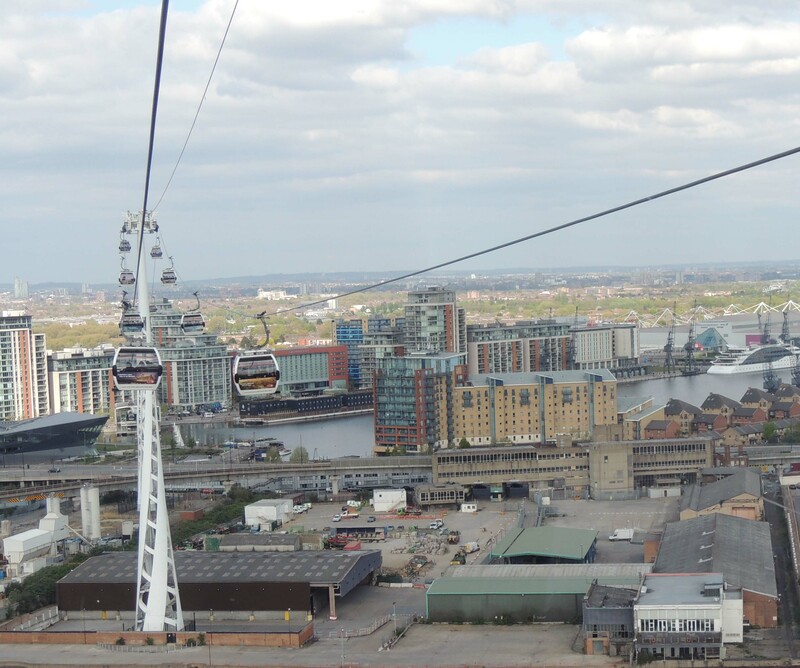 On a recent visit to Greenwich for the tall ships Festival, Keith and I decided to take a ride on the emirates cable car. 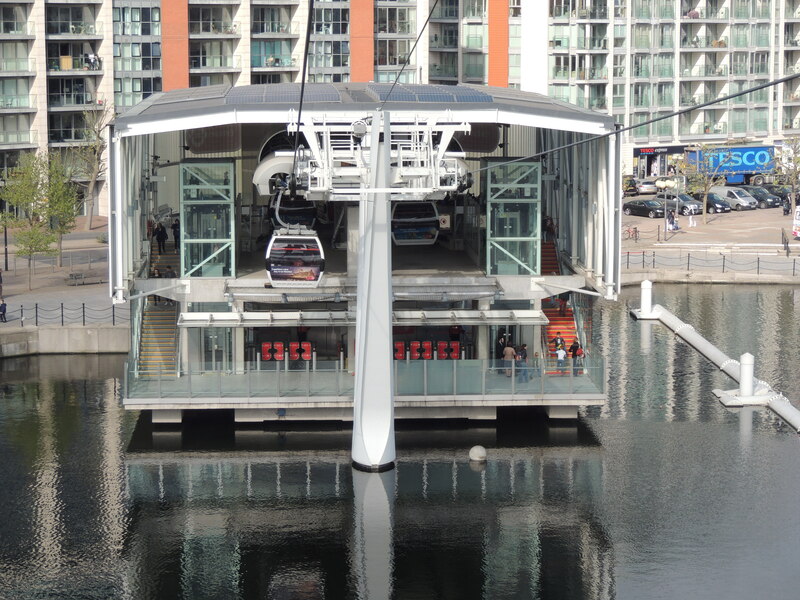 In the middle of 2010, Transport forLondon announced plans to develop a cable car across the River Thames. 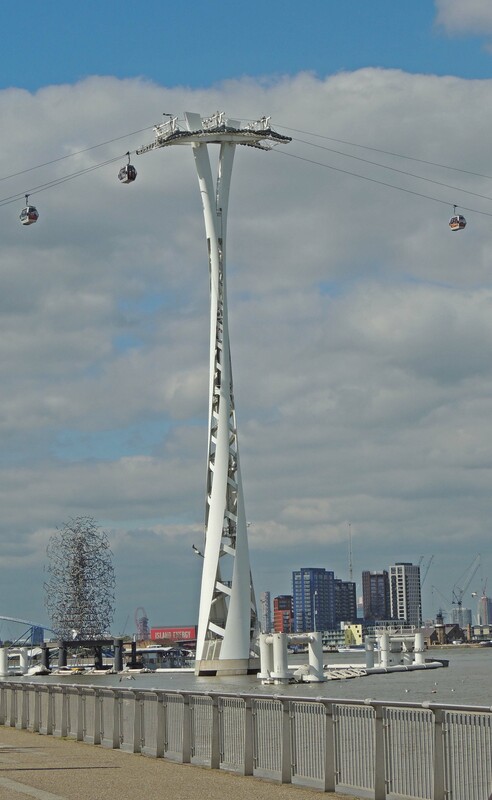 It would connect North Greenwich to the Royal Victoria docks. 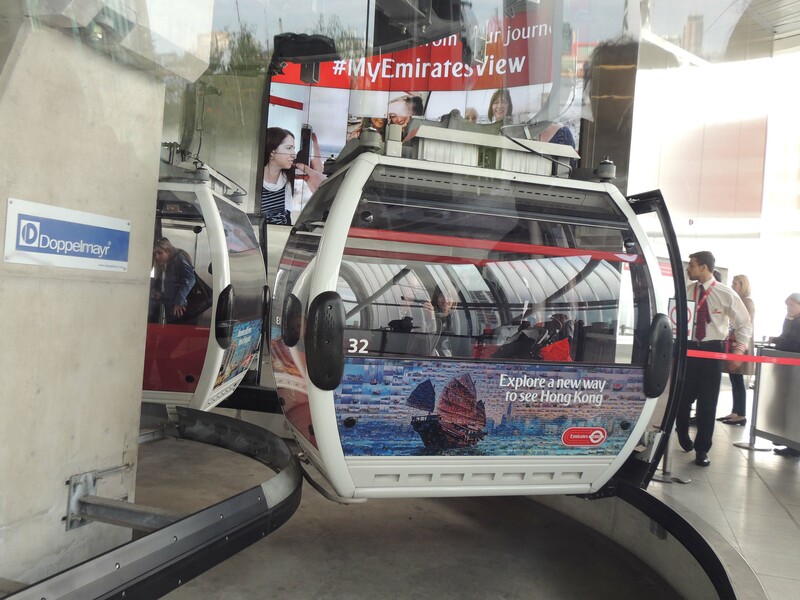 The final design was 1100 m long with a clearance over the River of between 54 m and 87 m. The following year it was announced that it would be sponsored by Emirates airline and construction began in August of that year. 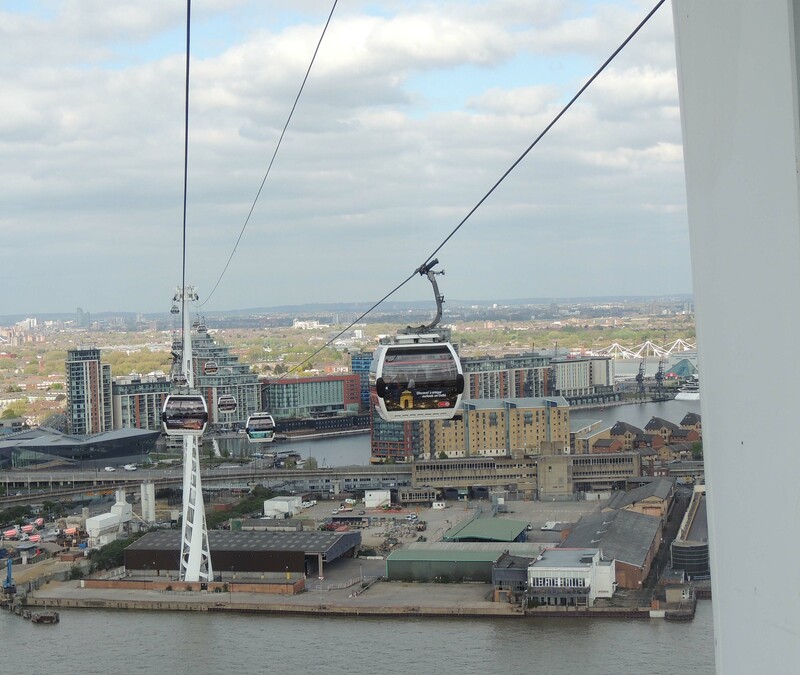 The cable car was opened on 28 June 2012 just in time for the London Olympics, connecting venues in the dockland area with those at the O2 Arena in Greenwich. 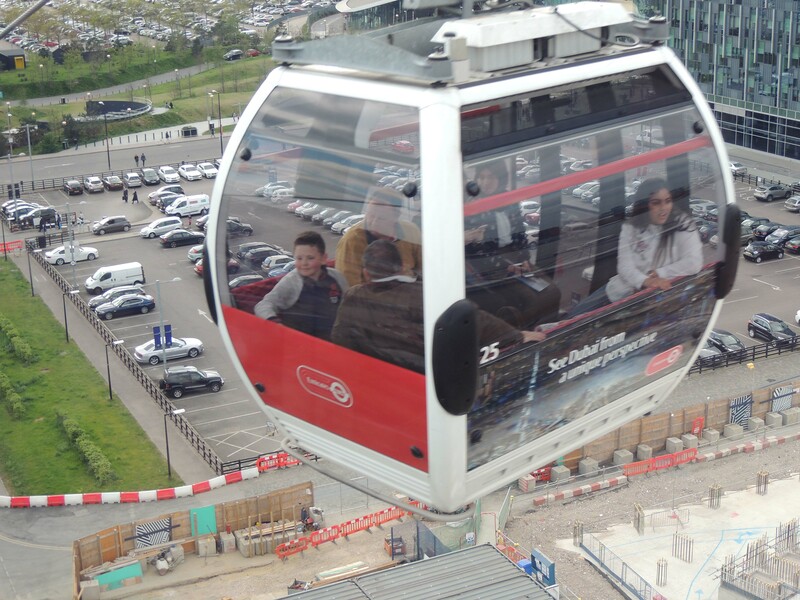 The cable car has 34 gondolas, each carrying a maximum of 10 people (although from my experience 110 people would be quite a squash). At its peak, shortly after opening, it carried 42,500 people a week but this is now settled back to an average of 28,000 journeys per week.